It’s pointless to even attempt to hide my excitement when it comes to Ubabub products, they’re just so darn good at what they do. Click through to find out what’s new at Ubabub! 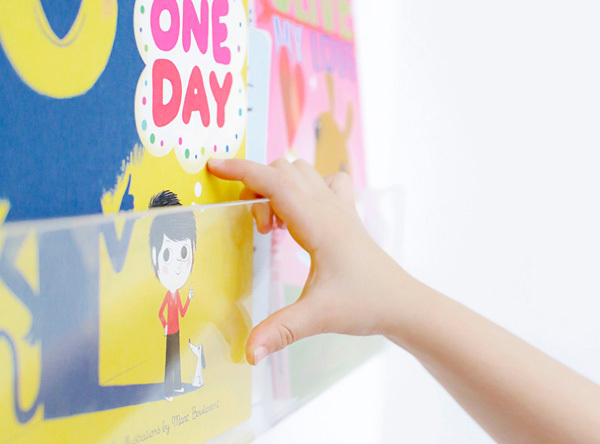 My heart was positively pounding at the sight of Ubabub’s new Booksee bookshelves. 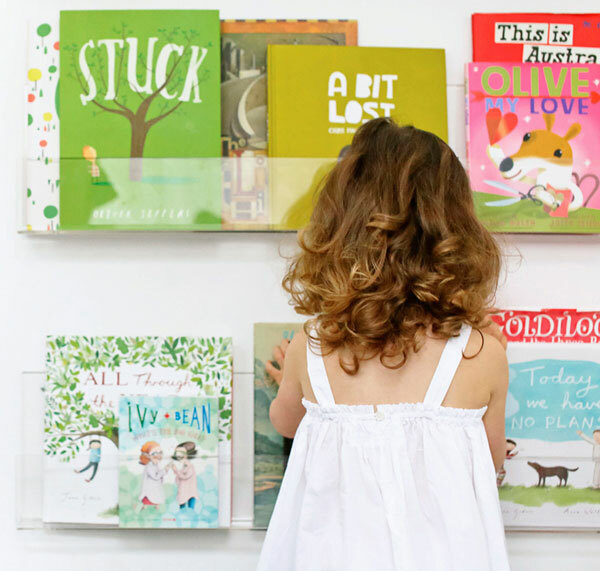 They’re nothing short of magnificent, the way they appear to float on the wall, allowing your child’s library of picture books do all the talking. Cleverly made from thick clear acrylic, the slim profile of the Booksee doesn’t distract your eye and the open ended design means they can be butted against each other seamlessly with a join you can barely see. Booksee is sold as a set of two shelves, measuring 22 x 90 centimetres and is priced $199 with delivery an extra charge. 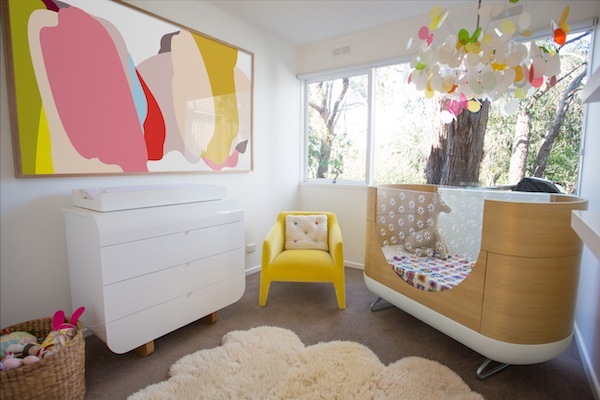 It’s no stretch of the truth to say I’ve adored Ubabub’s Sundae print (pictured below) since Ubabub founder Natasha Dumais showcased her daughter Uma’s gorgeous room in our Show us your nursery feature. It’s a beautiful vibrant giclée print that would suit any room (I have my living room pegged for this one) and will become the crowning glory of any space. Sundae fine art print is available in two sizes – 100cm x 70cm, priced $440 or 180cm x 110cm, priced $660. The Sundae print is sent unframed and freight is extra. For more modern nursery furniture and decorative art, be sure to check out the current collections at Ubabub.